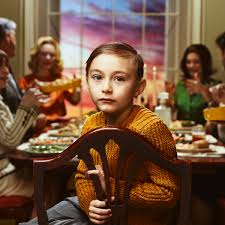 After only a few years, American electronic rock band Passion Pit found success with their second album "Gossamer" debuting in the top 5 on the Billboard album chart upon its release back in 2012. This led up to the band headlining their own tour and a build-up of anticipation for their follow-up album, which was released on April 21st through Columbia Records entitled "Kindred." They gave fans a taste of their new release at this year's SXSW festival and are ready to head out on the road again with a month-long tour of the U.S. following this release. The new ten-song album begins with the electronic pop beats of "Lifted Up (1985)," which carries that nostalgic eighties vibe mixed with modern youthful energy to create another hit single. That energy continues into the clap rhythm of "Whole Life Story" and "All I Want," but sandwiched between those two songs is the smooth R&B tone to "Where The Sky Hangs." The album's latest single "Until We Can't (Let's Go)" is filled to the brim with electronic beats along with a fun, contagious chorus that should have no problem finding success on the radio. The album closes with the short two-minute manufactured, slow swaying sound of "Ten Feet Tall (II)." The album has already spawned three hit singles and will definitely be on a lot of Playlists throughout the summer. To find out more about the latest release from Passion Pit in their spring tour, please visit kindredthealbum.com.